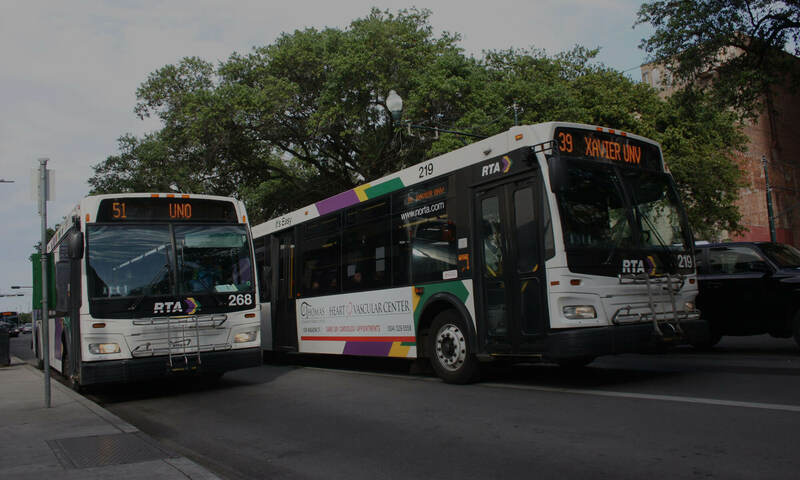 On a daily basis, more than 20 transit lines and thousands of transit riders using both RTA and JeT service pass through the area in the CBD bounded by Canal, Rampart, Elk Place/Basin, and Tulane. Despite this, something is missing: adequate seating and shelters, public wayfinding signs for different transit lines, ticket vending machines, public restrooms, rider-friendly businesses, and much more. This is a missed opportunity to show riders that they have a transit system that values their ridership. In 2014, Ride New Orleans and partners hosted a day of grassroots action that aimed to call attention to much-needed investment in a central transit hub that improved seating, shade, wayfinding, and a plan to transform the decentralized stops into a true transit hub. Our action led to the installation of new benches along Elk Place and S. Rampart giving waiting transit riders a much-needed seat. 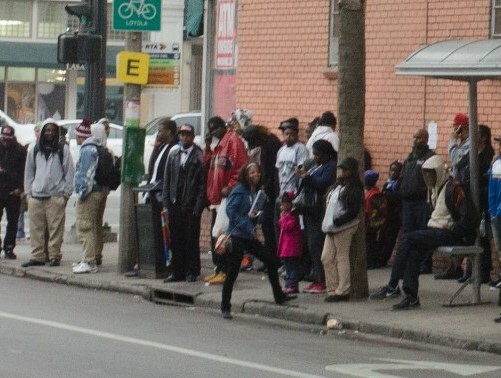 Also, the sidewalk was expanded on S. Rampart St. in front of a busy bus stop. Our action also jumpstarted planning around a true transit hub for the CBD area. The RTA began a study in 2015 to evaluate locations for a permanent transit hub with real amenities for riders. That study was paused in 2016 as the RTA began outreach around the strategic mobility plan. That hiatus made sense, but the issue needs to start up again now as we complete planning for the long-term future of our transit network. If you’d like to read more about our CBD Transit Hub research, click here.